The 2019 Dakar Rally moved into its seventh stage, beginning in San Juan de Marcona, taking a big loop, and ending in San Juan de Marcona once again. The stage was run over 331 km of special, and began later than expected due to fog in the morning. Victory in Stage 7 went to Stephane Peterhansel, who was closely pursued by Nani Roma. Roma had to stay content with second in the stage, 4min 33sec behind the X-Raid Mini buggy of Mr Dakar. 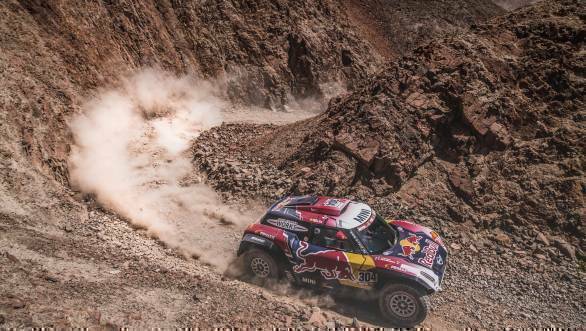 Peterhansel's X-Raid Mini JCW team-mate Carlos Sainz was third in the stage. It was disaster for Stage 6 winner Sebastien Loeb, who lost around half an hour early on in the stage due to electrical issues. Despite the fact that Loeb drove well the rest of the stage, it was only good enough for 11th in the stage. Nasser-Al Attiyah ended the stage fourth. 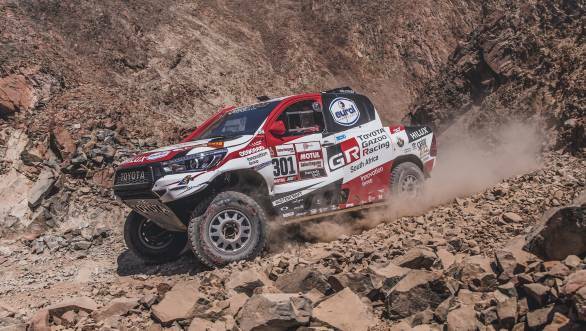 Overall, Al-Attiyah still leads the Car category of the 2019 Dakar, even though Peterhansel has managed to put a significant dent in his lead. Currently second overall in the Car category, Peterhansel is a little over 29 minutes behind the Toyota driver. Third overall in the Car category is X-Raid's Nani Roma, while Loeb and co-driver Daniel Elena are ranked fourth overall, 54 minutes behind the rally leader. 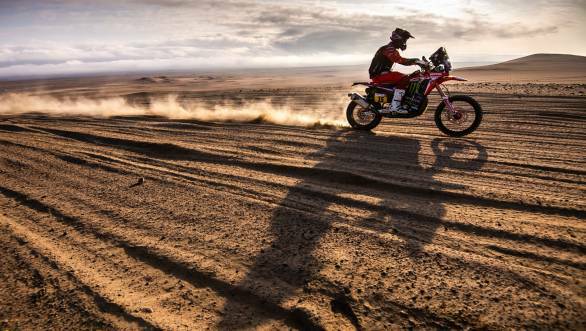 In the Moto class of the event, Sam Sunderland managed to win Stage 7, successfully recovering from the troubles he faced on Stage 6 where issues with his rear brake left him 23 minutes adrift of the leader. Sunderland, who won the 2017 Dakar, did well to move into the lead of the stage after the third waypoint. Second in the stage went to Jose Ignacio Cornejo Florimo, only a minute and 51 seconds behind the stage leader. Third in the stage was his Honda team-mate Ricky Brabec. 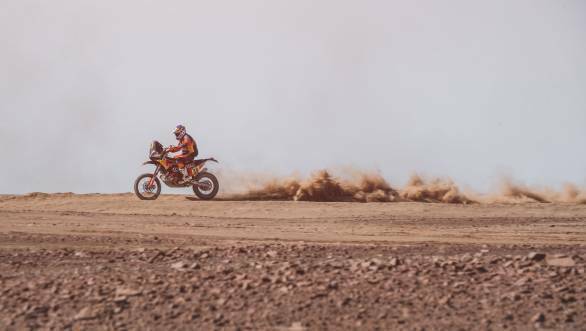 Brabec moved back into the overall lead of the 2019 Dakar Rally, with Pablo Quintanilla struggling astride his Husqvarna all through the stage. Yamaha's Adrien Van Beveren is currently ranked second overall in the Moto class, while Toby Price is currently ranked third overall. Victory in the Quad category in Stage 7 went to Nicolas Cavigliasso, who leads overall too. In the SxS category, Francisco Lopez Contardo won the stage, while Reinaldo Varela leads overall. Iveco driver Gerard de Rooy took victory in the Truck category in Stage 7, while Kamaz driver Eduard Nikolaev continues to lead overall.